Identify your closest worker to add more jobs while improving job completion rates. Verify when & where remote workers clock-in or clock-out for work. Mitigate driver issues with customized alerts for speeding and prolonged stops. Identify closest worker to add more jobs & improve job completion rates. 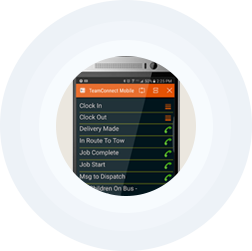 Receive event notifications and capture data when workers arrive/depart a job site. 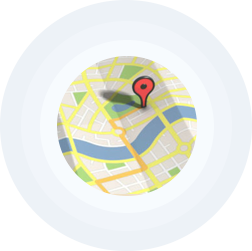 Send tracking links to customers to view driver location and expected arrival time. Keep mobile workers on task and on time. Review driver routes to improve efficiency, productivity and mitigate issues. Verify when & where remote workers clock-in or clock-out for work. Alleviate driver issues with customized alerts for speeding and prolonged stops. Locate your team using your personal smart device or a push-to-talk radio nationwide.